Buying raincoats is a yearly job and it can become quite a cumbersome task trying to choose well and not end up with a flimsy piece that barely keeps one dry or lasts through the season. Not that buying a good raincoat is rocket science but still, there are a few things to keep in mind while choosing suitable rainwear. Consider the material and see that it is sturdy and will repel water. Check that the fastenings are strong and stay closed so water cannot get in through any gaps. Buy the correct size so it comfortable to wear and you can move in it easily. A hood is recommended to keep one’s head dry, be it attached or detachable. A pocket to keep wallets and keys handy is very convenient. There are many brands from well-known companies available in India today. 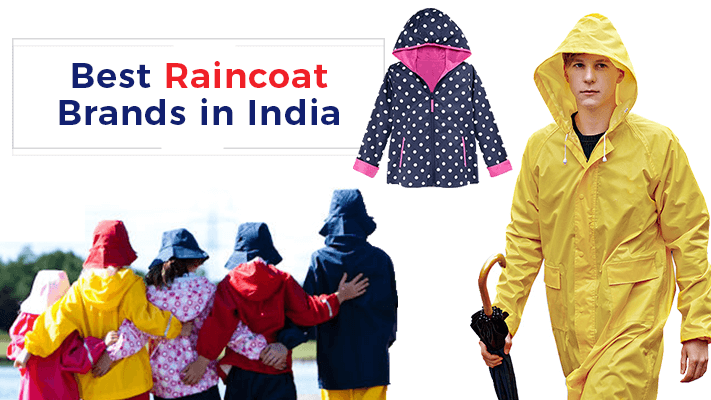 Keeping all these features in mind we have put together a list of the best raincoat brands in India for both men, women and kids to make it easy for you to choose a raincoat best suited to your needs. Wildcraft is the result of three men realising the potential for a company developing and selling apparel and gear for the outdoors. What started as products aimed for outdoor enthusiasts has now grown to include durable and reliable products for urban clientele as well. The products include camping and hiking gear, apparel and bags/rucksacks, and rain gear. Today Wildcraft products are available in their own stores and on many online shopping portals. The Hypadry Unisex rain poncho has sealed seams to allow absolutely no leakage. The hood has a pull cord that the wearer can tighten to their comfort. The branding is done with reflective material so the wearer can be seen in low light conditions whether in the city or out on a trek. Bangalore based Versalis is into footwear, jackets and other rainwear for men, women and children. The brand boasts of fashionable rainwear in different colours instead of simply serviceable and boring designs. This bright perky pink polka dot raincoat with a snug hood, pockets and a belted waist makes a fashion statement and keeps you dry in the monsoon. There are very few among us who will not recognise the name Duckback when discussing raincoats. One of the most trusted brands in the country for rainwear the Duckback has been manufacturing various rubber based products including rainwear. The brand is owned by Bengal Waterproof Limited and has factories in the 24 Parganas district of Bengal. 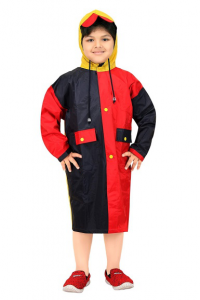 This polyester full length raincoat has a buttoned front and detachable hood. Adidas is a world renowned sports brand that has a wide variety of quality products including shoes, sports equipment, apparel and rain gear. The company is headquartered in Germany and was first established in 1924. It is currently the largest sportswear manufacturer in Europe and the second largest in the world. This Black hooded Longline Rain Jacket has a high button down collar and hood with adjustable cords. The large logo details on the back of the jacket make a loud fashion statement. Reliable is one of the oldest rainwear brands in India providing Indians with quality rainwear for many decades. The main offices of the company are in Mumbai. The brand is especially well known for durable and attractive raincoats and rainwear for children. 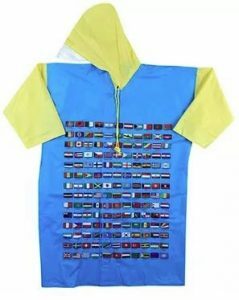 This colourful rain jacket has the flags of the world printed on the front and has contrast sleeves and hood for a stylish look. Prince Rainwear Pvt. Ltd. was founded in 1999. The company manufactures raincoats, windcheaters, jackets, PVC rainwear, plastic raincoats, plastic rain suits and many other products. 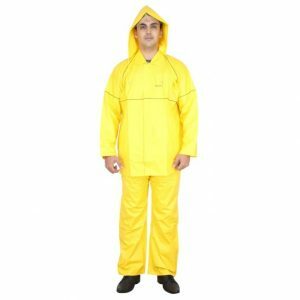 Based in Mumbai city, Prince Rainwear is one of the biggest suppliers to the wholesale and retail markets for rain wear today. The Luxor Suit Rain Coat for men is lightweight, has loose cuffs and the hood has adjustable drawstrings. The company Real Rainwear was started in 1939. Today nearly 40 years later they are a well-established and reputed brand in the rainwear market. The company manufactures a variety of rainwear and umbrellas suited for men, women and kids. The main offices are in Mumbai. This attractive red and black raincoat has snap fasteners to keep the coat securely shut, large pockets, and a hood with a shade in front. Made with sturdy PVC material this is ideal for school going kids. The brand Puma needs no introduction. Known for top quality sports shoes and clothing. The brand is not restricted to sports products but also manufactures a wide range of clothing and other goods. Puma is currently the third largest manufacturer of sportswear in the world and has its headquarters in Germany. 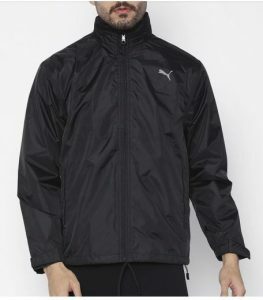 This black rain jacket has a short collar and fully zippered front. The long sleeves have Velcro closures and the jacket has two pockets. TSX is one of the menswear brands owned by TeeSort, a Delhi-based company founded in 2010. The company believes in inclusive growth giving its designers recognition so they can earn along with the company. TSX products are available on leading shopping and ecommerce portals. 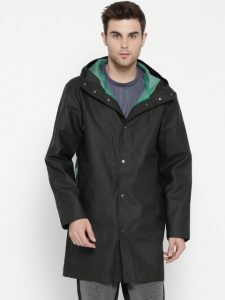 The company has a wide range of well-designed and affordable rainwear for men. 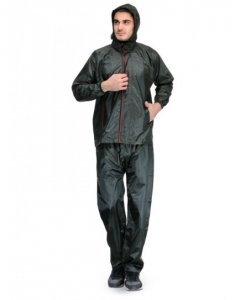 Made of high quality nylon fabric this rain suit has a jacket and a separate pant. The double stitching and inner lining make it highly rain proof. The jacket has two pockets and a foldable hood and elasticated cuffs on the sleeves. Zeel Rainwear is a little more than 20 years old and in these years has made quite a space for itself in the market for rainwear in India. It is now one of the largest rain wear manufacturers in the country producing up to 20,000 pieces per day. 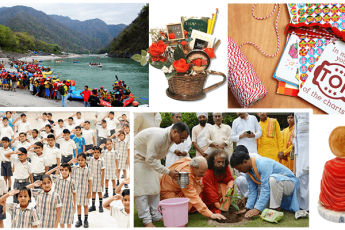 The company is now known as NZ Seasonal Wear Pvt Ltd. and has more than 300 products in its catalogue catering to customers of all ages across the country. 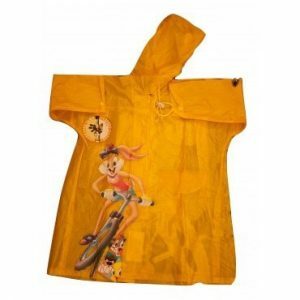 This transparent yellow Loony Toons raincoat from Zeel is sure to thrill any child. It has a pocket on the side and the hem has a drawstring to prevent water seeping in even in heavy rainfall. Use this list of the best raincoat brands in India as your guide to shopping for raincoats for your entire family and be prepared for the rains before they get here.